There is nothing good about insanity, except when it keeps you alive. Terish Dozzrine is a person who has sought ultimate knowledge, and gained it only to have the information overwhelm his mind. Further, he is not alone, but a whole group of beings exist in that state. When Terish however finds himself regaining rational thought, the other insane intelligences want him dead to restore what they consider the proper order of things. One advantage that Terish has are friends willing to work with him. Most also are listed among the immortals, although chased other dreams than ultimate knowledge. Hoping to restore a friend and help Terish gain another truth of how the omniverse operates, they unite to take the fight to those who hope to make all live surrounded by only the irrational having ultimate power. This story was in my head when I left college in 1983. Once with a computer, I sat down and worked on it using an early word processor. Looking back at the first draft, it was horrible, but I did finish it. I also sought to have it published, but that did not happen (luckily). It did not stay forgotten, and as I developed my writing skills I would go back and rewrite. It was from a comment by a college friend, "Terish leaves the girl, kisses his horse, and rides off into the sunset," that had me reconsider the presence of Thaunya and Raedell. The basic consideration came down to the importance of Straekin. When I was going back to college to get my teaching certificate I also took a writing class. In it I sat down and established the five book story arc of Terish. A lot of the details and history now in the story (stories) became created at that time. Another rewrite of this story was done. With the start of my continuing story on a gaming site, I thought to bring Terish to an audience. I did another rewrite, but just did not think it proper. I turned to the second story, and in seeing it develop I posted it to the internet. The "Deadre War" stayed on my computer. When it gets released, it will actually face an audience for the first time. It is not bad, but only a simple beginning to what has become a very large and complex cast of characters. As the cover photo above should state, this novel is finally being released. At present it is being released on Nook ($1.49). Having issues with Kindle at the moment, but once that is resolved I will put it on Kindle as well at the same price. You can purchase it on Kindle or Nook. 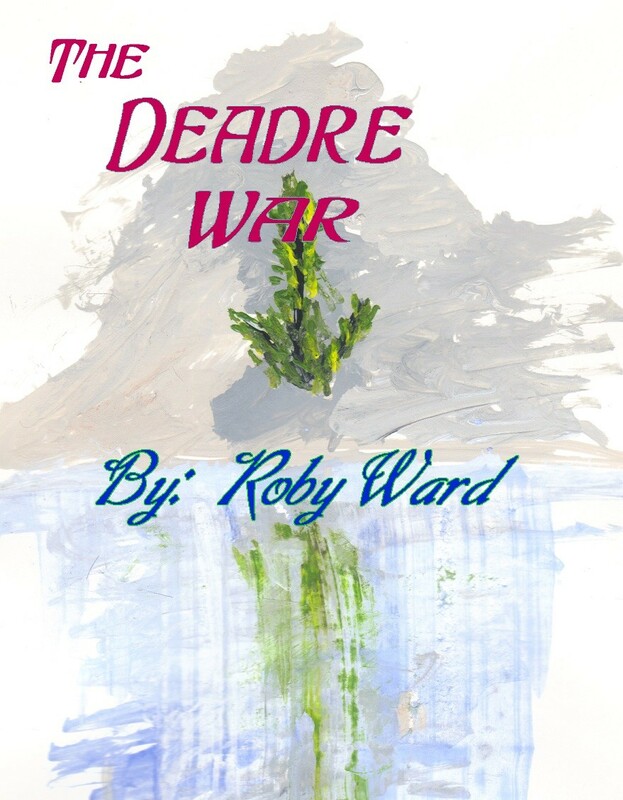 Remember that the author's name is Roby Ward. The book looks VERY good. Quite pleased with it. The quality of this cover is causing me to want to redo the cover art for the second book. Time will tell. Made the comment above about the cover, but did not provide the link. It is available in hard back.